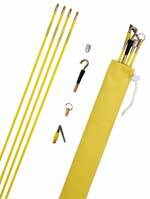 The best source for gopher poles, push-pull rods, fish tape for electrical, plumbing and more. 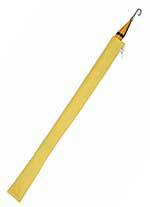 A coated fiberglass rectangular snake that goes where a round rod can't! Affords a flexibility that no round rod can offer. Introducing our new Tiger Snake with threaded tip. A twisted polyester fish rod with a tip that accepts all CMD attachments. Coiled in a PVC dispenser. Portable and lightweight. 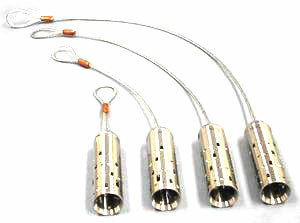 A twisted polyester fish rod for controlled flexibility and strength with bronze terminals and large pulling head. Coiled in a PVC dispenser. Enjoy the same features as our Push-Pull Rods coiled in a translucent plastic carrying case. Steel with extra strength nylon coating. Change tips easily. Grab and pull! 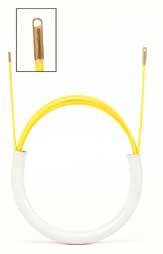 Ideal for running multi-purpose cable behind walls, up through crawl spaces and under floors. Perfect for every hard-to-reach place. Non-conductive, connects easily for flexiblity. The mini tip can penetrate areas the standard 1/4" tip can't. 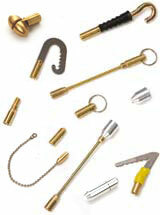 The reverse end accommodates all the standard attachments we offer. Fits in a briefcase! 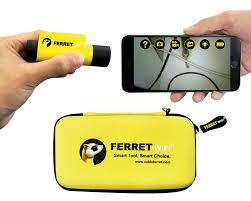 Must Have for Electricians, Plumbers, Inspectors, HVAC, and anyone needing vision in hard to reach places. 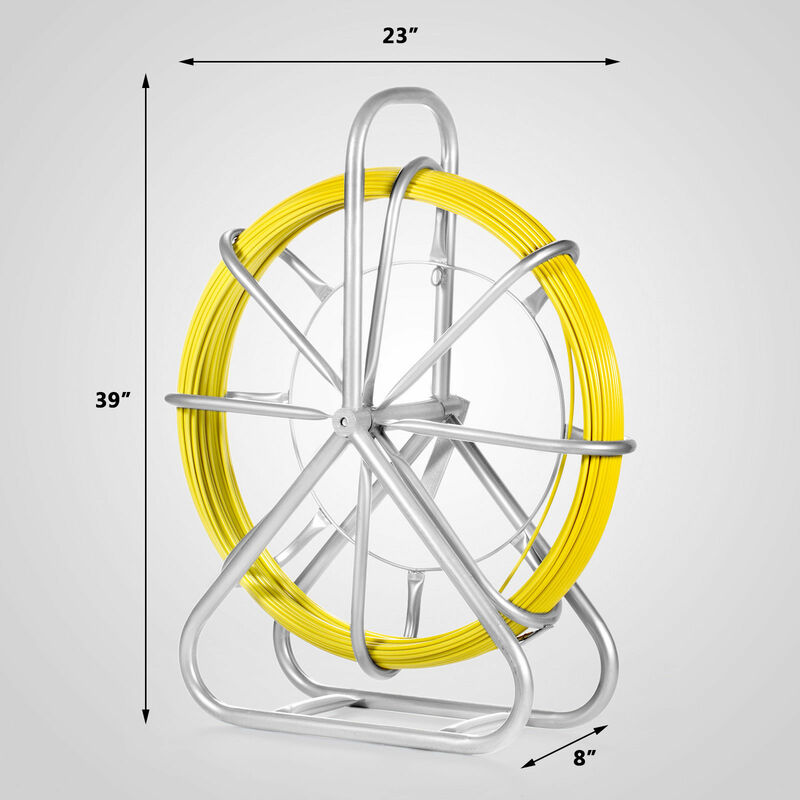 This affordable fiber glass rodder is a useful tool for running wire and cables through pipes, ducts and conduit - a vital part of any electrical contractors tool kit. 425ft in length with a 6mm (1/4") O.D. For use in long spans and hard-to-reach areas in ceilings, floors and crawl spaces. Standard and Heavy Duty. Each available in 16' and 26' lengths. 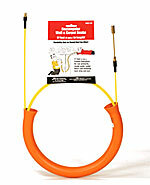 For big jobs--electrical conduit, water lines and underground piping. Equally useful to the plumbing industry. Continuous lengths up to 1000 feet. Same 1/4" diameter as our Push-Pull Rods. Perfect to feed through electrical conduits, fiber optic innerduct, and T-bar ceilings. Prefer not to order online? Download the form and fax in your order!